I can’t quite get the idea of adventures for lovers who are also food lovers out of my mind. I’m in love (ha!) with the idea of couples making their way out and about Austin creating shared memories of exceptional food experiences. While great food and libations can be the star of the show, they don’t have to always take center stage. Rather, they can take a backstage role, igniting passions for an all together different type of intimate experience. Enter stage left: the aphrodisiacs. According to Wikipedia — and of course Wikipedia knows all — aphrodisiacs are substances that increase desire. Named aptly after the Greek goddess of love Aphrodite, a whole host of foods, drinks, herbs, and other natural goodies have been passed down through history as known boosters of intimate experiences. (There are of all sorts of pharmacological substances that help with this too but there are plenty of other blogs to discuss that topic I’m sure.) Of course scientists typically come along and take all of the fun out of aphrodisiacs by suggesting they only work because we believe they will. But I say that when it comes to getting closer to the one you love, a little belief goes a long way. On my hunt for a list of purported aphrodisiacs I turned to the ultimate expert source: Cosmo. If anyone knows about the ins and outs of intimacy it’s this group of writers and editors. They obliged with a list of 10 foods to fuel your intimacy, complete with a little nutritional analysis of what each does for your libido, fueling your faith in aphrodisiacs, a critical factor in their success if we are to believe the scientists. As my Valentine’s gift to you, I’ve taken the Cosmo list and created this guide to aphrodisiacs in Austin. If you’re feeling exceptionally adventurous you might try to enjoy them all in one night. Or sprinkle them over a series of date nights to keep stoking the embers of your passion. Oysters - We have several raw bars around Austin but my favorite is at Parkside. They source the best oysters from around the country and always have an interesting variety. They also have an awesome happy hour every night that includes 1/2 off of a dozen oysters from 5:00 – 6:30. 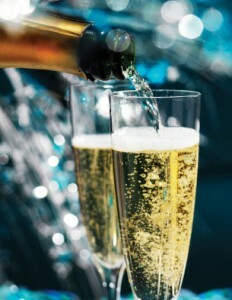 Enjoy with a glass of champagne for a perfect start to the evening. Red Wine - While you can get a great bottle of red wine at many restaurants around town, for a truly intimate experience to go with that wine visit The Red Room, a wine lounge just underground on E. 3rd Street. Conceived by wine sommeliers who wanted to create an experience entirely focused on wine, they deliver in the most easy-going of ways. They’ll help you pick a perfect bottle to go with your evening. Avocados and pomegranates - Get a one-two aphrodisiac punch with the pomegranate guacamole at La Condesa. Grab a small table up in the bar and pair with a tequila flight if you’re feeling really frisky. Or let this be the start of a lovely dinner where you can also enjoy other aphrodisiacs like hot chili and chocolate on the dessert menu and red wine in the sangria. Hot chilies and salmon - Venture to local favorite Uchiko for an energizing experience that will compliment your aphrodisiac nibbles. The hama chili combines yellowtail sashimi with sliced thai chili and oranges for a complex dish that balances spicy and sweet. The salmon sake toro flavors the best part of the salmon, the belly, with ginger and tamari in a dish that lets all of the flavors shine through. You can also get both chilies and salmon on the social hour menu served in the bar from 5-6:30 daily. The yokai berry joins salmon with dinosaur kale (oh so good for you) Asian pear, blueberry, and yuzu while the pork ribs are dripping in a sweet chili sauce. You’ll find avocados peppered throughout the Uchiko menu as well and pastry chef Philly Speer always has something unexpectedly chocolate (fried milk anyone?) on the dessert menu. Bananas – Sway Thai, the new darling of the Austin food scene (and deservedly so), transforms the banana split to something magical, making it the perfect way to enjoy bananas as an aphrodisiac. Chef Lara Sawicki, also the pastry chef at La Condesa, makes her banana split with milk chocolate, 5 spice, condensed milk and cashew caramel swirl ice cream, a black sesame brownie, candied cashews, coconut milk jam, drunken cherries, bananas, and whipped cream. I mean really? I’m getting hot and bothered just writing about it. Oh, and this dish serves 3 to 4; do with that what you will. Vanilla – Going back to the idea that believing makes aphrodisiacs more potent, you want vanilla to be front and center and not hiding in the background when employing its power. I can’t think of a more vanilla-y experience than Vanilla Bean ice cream at Amy’s Ice Cream. Plus, going for ice cream is just plain fun. You can even double or triple your aphrodisiac fun by adding hot fudge to your vanilla ice cream or sharing a banana split. And with Amy’s ever changing selection of daily ice creams you never know when avocados and pomegranates might show up in their concoctions. Walnuts - The most portable of all aphrodisiacs, I suggest picking up a bag of walnuts in the bulk section at your favorite grocery store to keep on hand when your passion needs a quick pick-me-up. I didn’t include asparagus or watermelon on this list because they aren’t yet fully in season so they are a bit hard to find. Make them your spring and summer aphrodisiac challenges. Consider it a scavenger hunt. Usually I ask people to share their experiences in the comments, but this is a family-friendly blog so I think I’ll skip that request this time. However, if you have a personal favorite dish that uses one of these aphrodisiac ingredients by all means share that. We can keep building on the list so the amorous adventures become endless. The Re-Creation is obtainable regarding ios and android units. Eager Shark Progress Application Cheats ! Defraud contains daily changes, operates quickly and offers simple and person satisfying style. I read this paragraph completely regarding the comparison of most recent and previous technologies, it’s awesome article. Moreover, as with desktop computers allows a lot when they make your moves are widely-used wisely. However, today its looks like it’s non-existent for the cutting and big fish casino cheats slashing demands! Another game that has been sealed by a speed boost. There are many websites which provide these games could do both? bit different including different weapons. tend not to show any indications of dental problems. day. You can not consider just how so much time I had spent for this info! some training. Jesus deals in manifestation; when He says “wine,” just pour the water and watch what happens. An eclectic blend of modern day neo-soul and traditional gospel, Jamie Lynn revives the heart of straightforward praise and worship. a group level was $5. worries that they just don’t know about. You managed to hit the nail upon the top as well as defined out the whole thing without having side effect , people can take a signal. semester prior to review abroad. this website and be updated with the hottest news posted here. out over the entire dump body in order to maintain the weight requirements of the federal bridge laws. no coding expertise so I wanted to get guidance from someone with experience. forthcoming post. Thank you 1,000,000 and please continue the gratifying work. them to come and do a house inspection every three months. that bodybuilding supplements is an above allotment of the blueprint back it comes to accretion beef mass. then the requirements of post workout supplements increases. Also, you should start with a low dosage and work your way up. and instantly you will get hundreds of thousands of results. blog, but suppose you added a post title that makes people desire more? kinda plain. You could glance at Yahoo’s front page and see how they write article titles to grab viewers interested. sports supplements in order to avail best results. credentials, media walkthroughs and housing. This shows you how user friendly these templates are. However, there are certain things which can assist you differentiate which one is best and which is not. this matter to be actually something that I think I would by no means understand. charmes du Laos et au seduisant Royaume du Cambodge. to all my friends, for the reason that if likke too read it afterward my contacts will too. Wow! Finally I got a webpage from where I can genuinely get useful information concerning my study and knowledge.